Its key function is to enhance public protection by setting standards for registration with CNHC. The CNHC ‘quality mark' is being recognised as the hallmark of quality for the sector. This means that the general public, and those who commission the services of complementary healthcare practitioners, will be able to choose with confidence by looking for the CNHC quality mark. Reflexology deals with the principle that there are reflex areas in the feet and hands which are believed to correspond to all organs and parts of the body. It is a unique method, using the thumb and fingers, usually performed on the feet but in some cases also on the hands and ears. A practitioner will work the reflex areas, which may help to relieve stress and tension; improve the blood supply to all areas of the body and promote the correct functioning of nerve impulses. 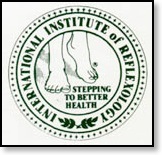 Reflexology aims to treat the imbalances of each individual and to alleviate and improve symptoms. It does not however diagnose a specific medical problem. When first visiting a reflexology practitioner, a detailed medical history will be taken. The treatment itself is usually performed in a comfortable chair/couch in a safe environment. If it is to be performed on the feet, the client/patient will be asked to remove footwear and socks prior to treatment. The practitioner may initially examine the feet before commencing with the precise reflexology movements. The particular type of movements involved requires the application of an appropriate pressure using the thumb and fingers. The number of treatment sessions required will vary depending on the condition being treated, but will always be discussed prior to any treatment plan. Reflexology can be a wonderfully relaxing experience where you can take time out from everyday pressures. The therapist’s expert touch will help you relax which can help improve mood, aid sleep and relieve tension. Numerous disorders may benefit from reflexology depending on the specialism and expertise of your practitioner. Examples include pain, headaches, sinus problems, hormonal imbalances, back problems, stress and tension. •	The Complementary and Natural Healthcare Council (CNHC), which is supported by the Department of Health, can help when choosing a practitioner that meets the national standards of practice in reflexology. It has established a voluntary register for complementary healthcare practitioners who all meet the required levels of competence and practice. By registering with CNHC practitioners demonstrate to the general public and to other healthcare providers that they conform to national standards of practice in their work. Practitioners on the CNHC Register are able to display the CNHC quality mark, which becomes the general public’s guide to identifying best practice in complementary healthcare provision.